At our practices we have been providing dental implants for over 10 years. We have also been at the forefront of developing new technologies, in order to provide each of our patients the best possible services with the best possible outcomes. 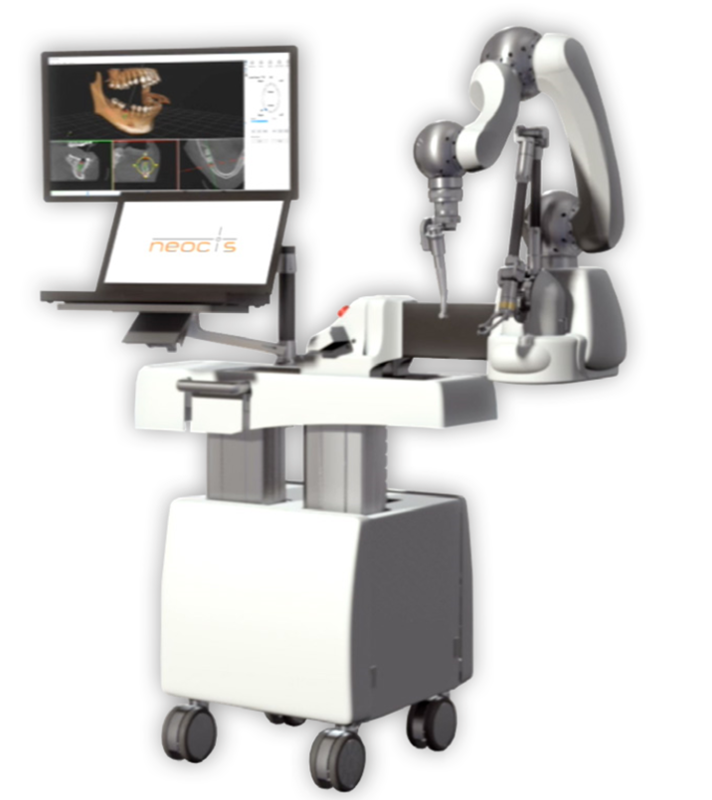 In our Cupertino location, we are now pleased to offer YOMI, the first robot in the US approved by the Food and Drug Administration in January 2017 to be used for dental implant procedures. We are the first location on the West Coast. For the past 5 years Dr. Massoomi has been helping a team of engineers develop this technology. YOMI can reduce the time that it takes for a patient to have surgery. In the past if a surgical guide was needed, the patient would have to wait at least 5 days to have surgery. With the use of YOMI, that patient can have surgery the same day, with the same accuracy as the traditional surgical guides. Make no mistake: when YOMI is used in implant surgery, we are in control from start to finish. This is what we call “Robotically-assisted” and it is not fully automated. We view it as another tool at our disposal, one that provides us with intra-operative guidance. YOMI uses some of the same technology you’ll find in your GPS systems. There is nothing new about robotics in surgery. The da Vinci surgical system received FDA approval nearly twenty years ago, and has gone on to be an indispensable tool at hospitals throughout the United States and Europe. It is used for a wide range of surgeries, such as prostate and OB/GYN procedures. YOMI is the brainchild of the same team that introduced MAKO, a robot used for orthopaedic surgery which today performs hip and partial knee surgeries. With the use of this technology MAKO has noticed a 66% reduction revision surgery. We hope the same is true with YOMI, which would avoid future dental implant failure requiring another revision surgery in the future. About three million dental implant procedures are performed in the United States every year, and that number keeps growing. Just as seen in medicine, Robotics, too, will become central to dental implants and other surgical procedures in dentistry. For more information about this technology, please give us a call at 415-813-6400 in San Francisco or 408-253-6081 in Cupertino.